For more information or to schedule an appointment with our Tucson chiropractor, call 520-795-0123 today! Dr. Michelle Switzer is a chiropractor serving Tucson and the surrounding communities. 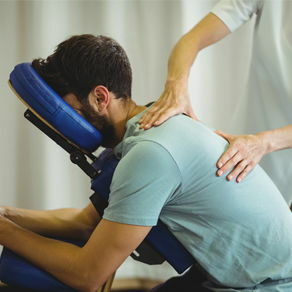 Our chiropractor and the rest of the friendly team at Switzer Family Chiropractic are dedicated to chiropractic solutions to target your unique needs, whether you are suffering from back pain, neck pain, headaches, or even just plain old muscular tightness and tension. You may need pain relief after suffering an accident, experiencing an injury, or if you have a specific condition such as chronic back pain or a spinal condition; even if you just want to improve your overall health, our chiropractor can help you achieve your wellness goals! Please visit the testimonials page to see what our patients are saying about our Tucson chiropractor and getting regular chiropractic treatments. "We love skeptics and people who want a different approach to health," Dr. Michelle states. We have many patients who have been told to that they would "have to live with their problems." Our patients consist of tiny babies, athletes, families, seniors, just to name a few. We try to explain everything as clearly as possible in advance, answer questions, and educate our Tucson patients. At your first visit to Switzer Family Chiropractic, Dr. Michelle Switzer will explain the science behind how chiropractic care works, and give you a full evaluation to see if chiropractic care is right for you. If there is a good fit, we can develop a plan of chiropractic care that is specific to your condition and health goals. If you have not been to a chiropractor before and want to find out more, please contact us or call 520-795-0123 to receive the answers to your questions from our experienced team. We also welcome referrals, so we invite you to share our chiropractic and wellness information with your friends and loved ones. We love chiropractic and telling people about how it can benefit people's health. We know how important is to our wellness, and we both can honestly say that we have not taken any medication in over 8 years (be sure to ask us how). We love our weekly chiropractic adjustments! Why? Those who know what chiropractic is—and what chiropractic isn't, seem to get the best results in the shortest amount of time. We're looking to help Tucson-area residents who value their health and want a chiropractor who offers peace of mind. Ready to get started? Call our office today to schedule an appointment with Dr. Michelle Rupe-Switzer. "Dr. Switzer has helped me immensely. I came to her barely able to stand and in much lower back pain. Her treatment is gentle and taylored to my needs. I'm am now able to do many things that I haven't done in several years, and am looking forward to even more improvement in the future. Thanks Dr. Michelle!"